Sunny Delight’s CIO made a bold move when it was time to pick a cloud analytics service to identify deficiencies in its sales promotions and opportunities for sales growth. He let business managers make the decision. Analytics software has helped Sunny Delight Beverages boost profits by roughly $2 million a year and trim $195,000 in staffing costs annually, says CIO Shawn Rogers. The cloud application, which Rogers settled on with the help of several business managers, allows the company's business departments to determine the investment for promotions as well as make adjustments to curb wasteful spending on overtime and pricey transportation options. "We couldn't see an order from sales promotion to payment in a cost-effective, non-laborious way," Rogers told CIO.com. Sunny Delight engineers were manually extracting and cross-referencing data from several business intelligence tools to generate BI reports – an approach would no longer stand under a corporate directive to streamline sales operations. Sunny Delight CIO Shawn Rogers. The challenge Sunny Delight faced is hardly unique. Many companies lack cohesive data management strategies plans for how data, analytics and people come together to create business value, according to McKinsey &Co. Data management typically happens in silos, with each department using a different BI application to make some sense of business performance. CIOs, at DirectBuy and other organizations, seeking a so-called single version of the truth are increasingly unifying their data architectures. Such an effort has been afoot at Sunny Delight since 2013, when third-party auditors revealed that business managers were using eight different BI applications to parse operational data, producing inconsistencies and redundancies. The company generates roughly $550 million annually from selling its fruit-based drinks to grocery stores, drugstore, and other retailers. To boost sales, the company marks down each pallet of drinks by 15 percent. But it lacked a way to correlate the impact of these promotions to increased order volume, Rogers says. Also, information collected from Sunny Delight's sales was overly broad. It knew how much money it was making based on sales of certain customers, but not by region. "We couldn't tie it to the ebb and flow in sales," he says. If Sunny Delight was going to derive any value from its data it needed to make some changes.. 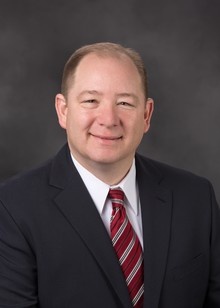 Working closely with CFO Bill Schumacher, Rogers selected a cross-functional team comprised of managers in sales, marketing, production, logistics, warehouse and accounting departments. Their goal was to "hammer out where our gaps were" and determine the most effective way to produce a data stream that could help identify sales, promotion, as well as customer trends. Perhaps more importantly, Rogers left the selection of a new analytics tool to the business line leaders who were going to use the analytics to improve their workflows. The team evaluated 17 tools before settling on a cloud solution from startup Birst, which allows business managers with little technical know-how to view data in customizable charts and other snazzy graphics. Each department appointed one user to collaborate with IT on new features and functionality they required, including specialized interfaces and drop-down menus, to make queries easier for end users. Birst revealed deficiencies in promotions. The company learned that some promotions that shipped on weekends to retailers for a Sunday, Monday or Tuesday cost the company significantly more because freight transportation rates were higher on weekends. Moreover, because Sunny Delight's warehouses weren't typically open on weekends, it had to pay staff working 13- or 14 12-hour shifts overtime wages to load pallets onto trucks. To fix this problem, the company asked its retail customers to agree to have their shipments sent between Thursday and Friday or Friday and Monday. Sunny Delight ultimately pared its transportation costs by 7 percent. The savings also rippled through its production chain, reducing overtime costs on each production from to 2 percent from 20 percent. Sunny Delight expects to use Birst to determine whether new products are lifting sales of other products. For example, the company would like to know whether Sunny D X, a new energy drink it began marketing to teens in 2014, is impacting sales in areas it is sold, such as Boston, Philadelphia and Washington D.C. Among the questions Rogers has: Are there any bumps in sales orders from those areas? Is there a higher awareness for the Sunny Delight brand or just D X? Are store shipments increasing? He said he hopes to work with marketing this year to identify opportunities to boost beverage sales, or introduce efficiencies in production and logistics.